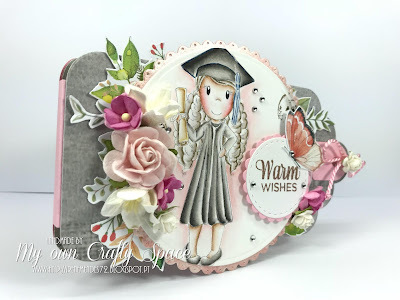 Hello and welcome back fellow crafters!!! 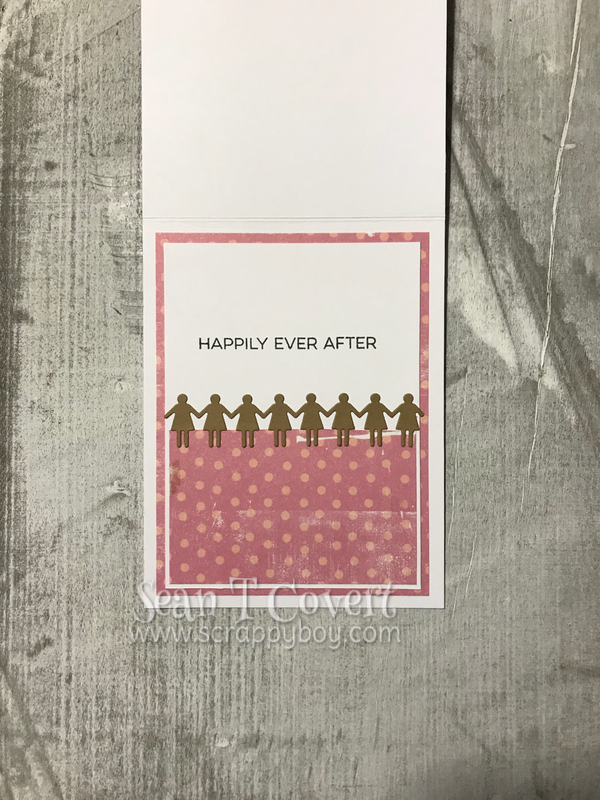 Sean here and I wanted to share my next project for The Paper Nest Dolls! I just LOVE working with these images!! 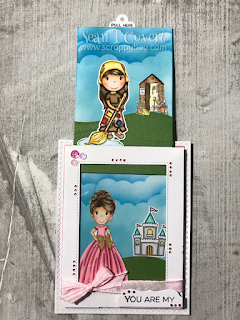 They are SOOO much fun to color!! 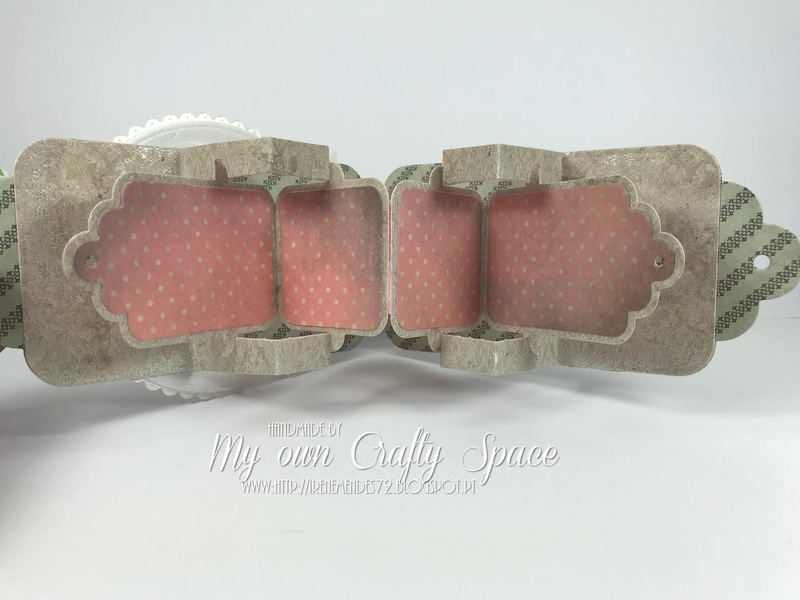 I used one of the new releases from April, her name is Ellie With Hen! 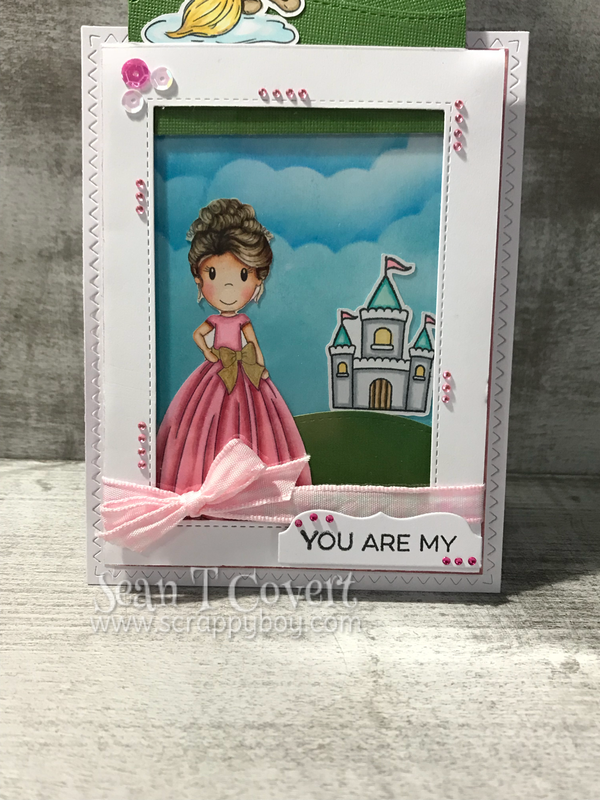 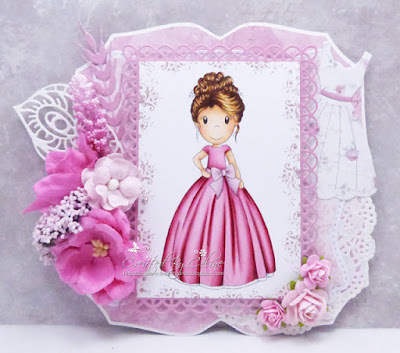 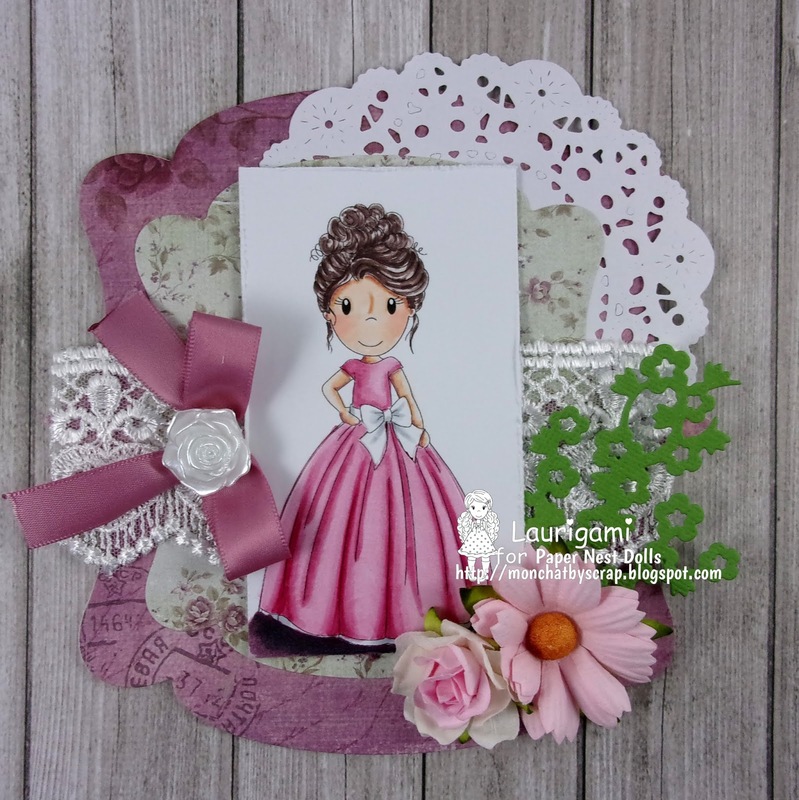 Today I'm sharing the gorgeous card using Fairy Princess Emma . 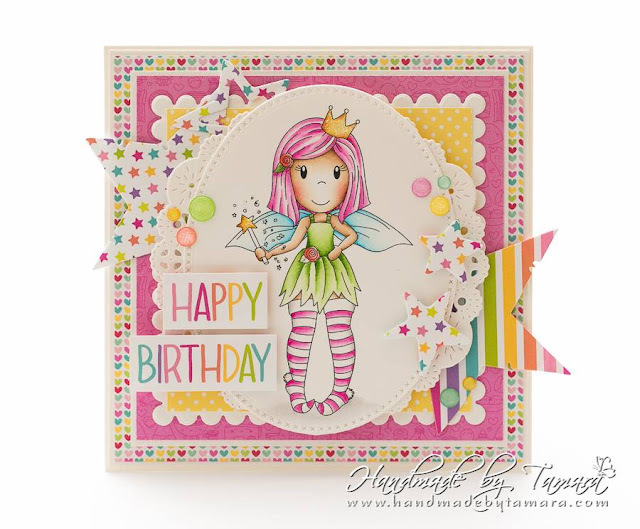 I loveeeeee the colors .....perfect for this sweet fairy. 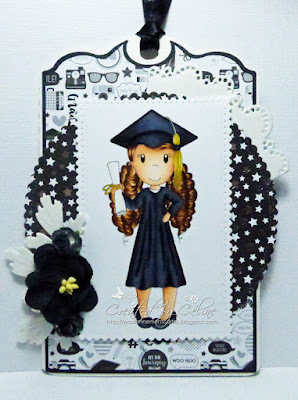 I am so honored to be asked again to be a guest designer for The Paper Nest Doll's. 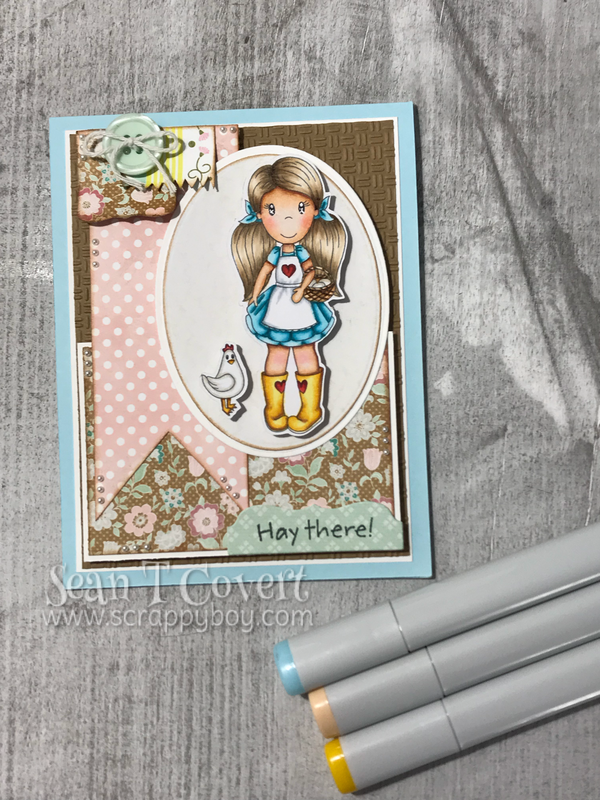 I love chickens and am a country girl at heart so when I saw Ellie with her cute little hen, I knew I had to make a card with her. 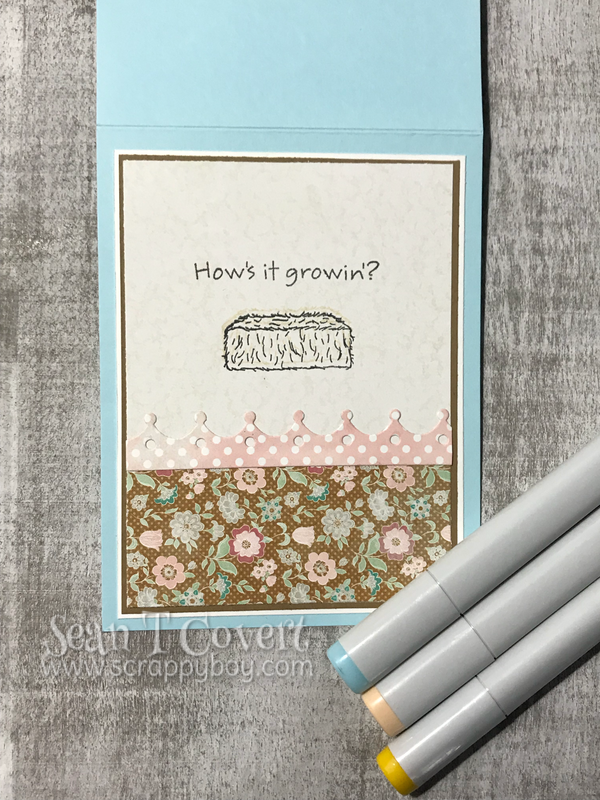 Living on a cute little hobby farm with with my own brood of chickens would be a dream come true! 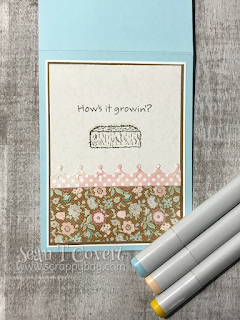 I created the woodgrain on the fence and the hen house by coloring the card stock with E59 and E79 to give it the old barn wood color. 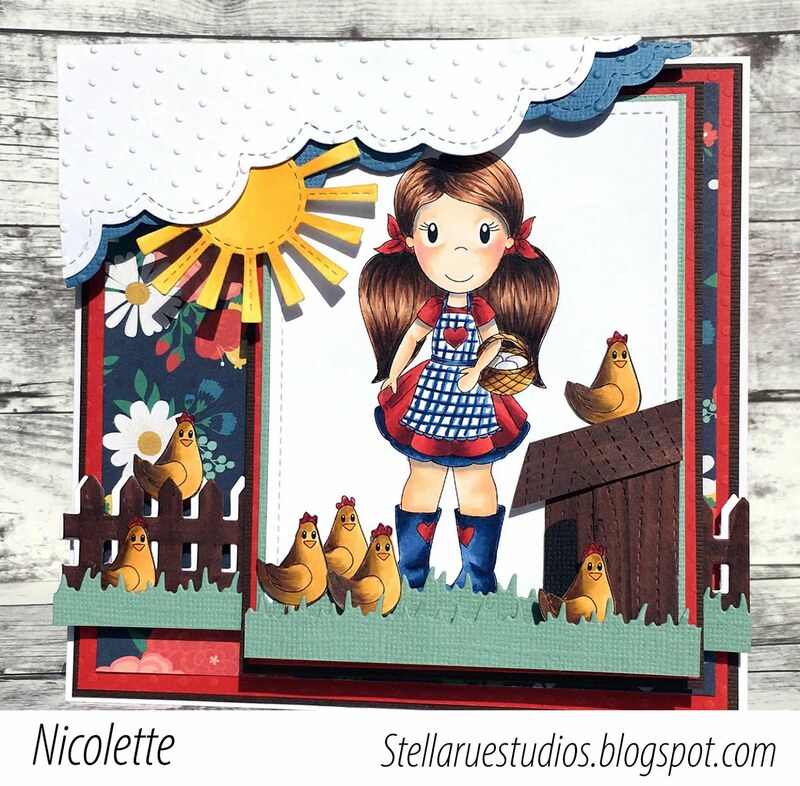 I made the hen house by cutting and paper piecing the woodgrain card stock I had created. My brood of hens love their little house! 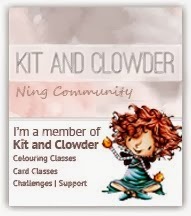 You can find more details on my blog post You've Passed. 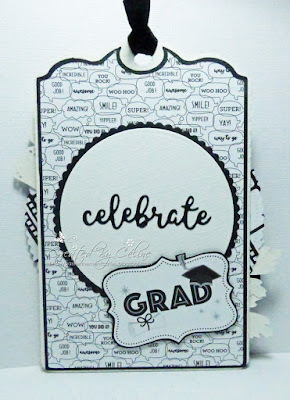 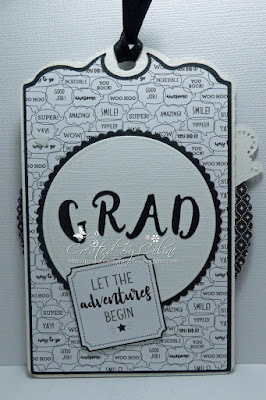 Today I'm sharing with you a Grad card. 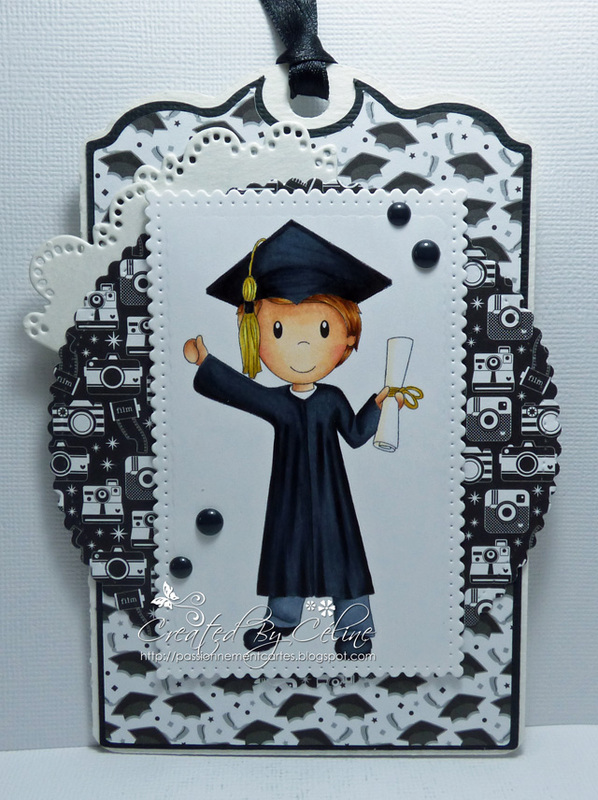 Image is from Paper Nest Dolls and it's called "Grad Avery 2018". 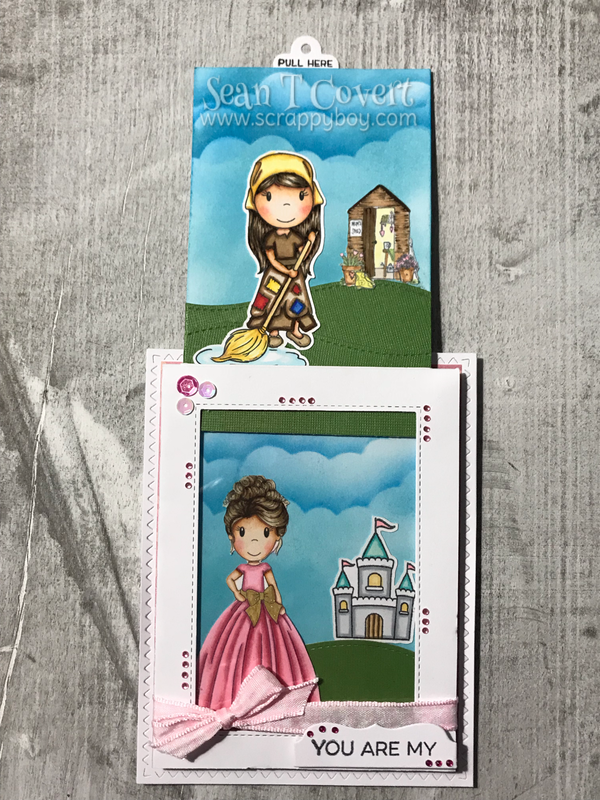 This is from the New Release - Mai 2018. 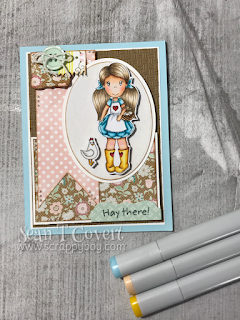 I use Distress Markers to color her and some Creative Paper Pad from Santoro. 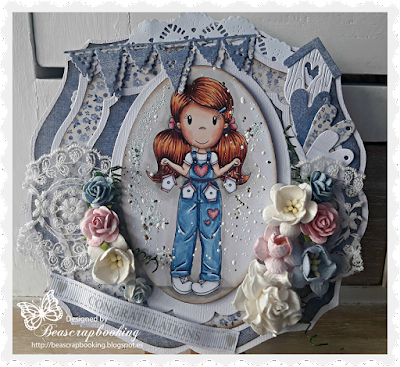 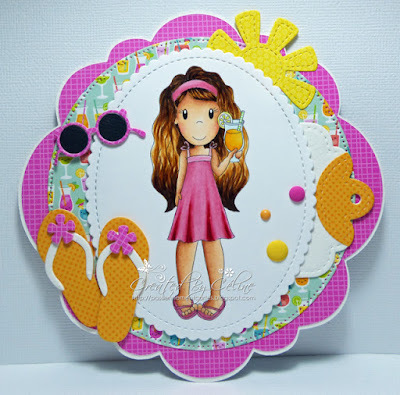 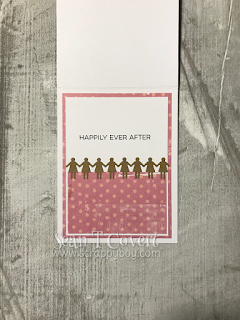 Today we have a beautiful card by Beatriz Arrabal....she used Avery with Birdhouse Banner for her beautiful creation. 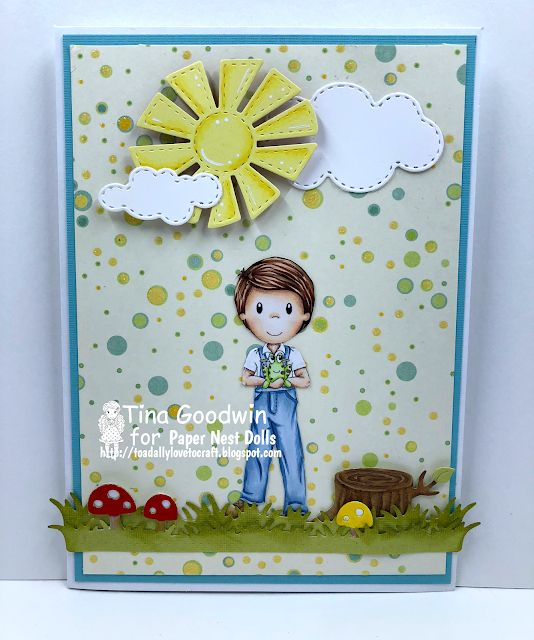 Guest DT Lynsey McCord made a beautiful card using the digital image Rainy Day Emma (Frog Umbrella). 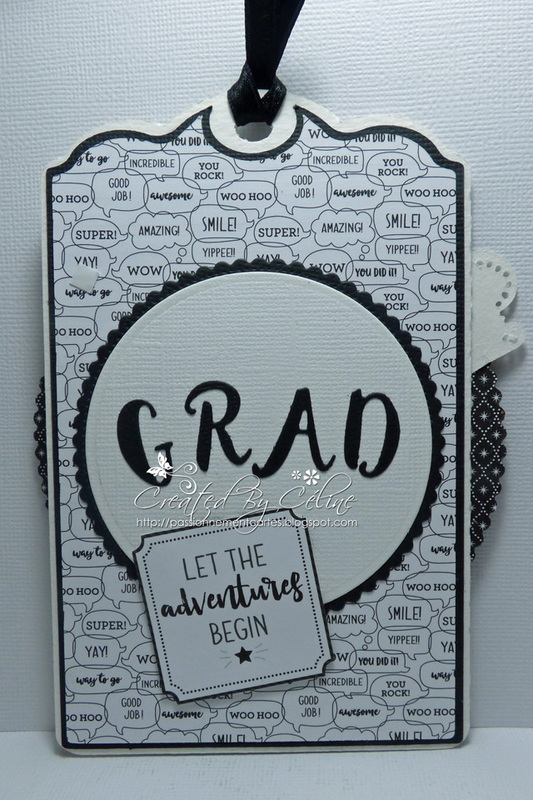 Great colors on the image are accented by the fantastic paper selection. 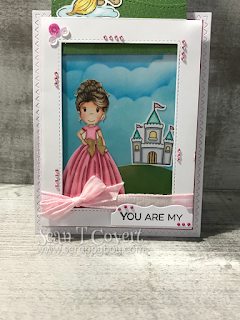 You can see this and more of her creations by clicking HERE, or by going to her blog, Lynsey's Craft by the Ocean.